If you see the black rectangle in place of the video clip, then you will not see any live preview of the actual Video Styles you are applying. This is because you see a black rectangle instead of a frame associated with the video clip. To make sure you see a video frame during live preview, add a Poster Frame to your video clip -- that way you will see a video frame in the place of black rectangle, as shown in Figure 2 below. 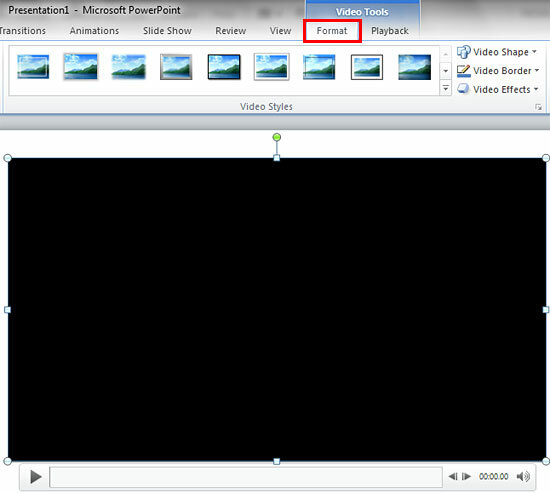 Once you have made the video frame visible, select the Video Tools Format tab, and locate the Video Styles group. Then click the More button (the downward pointing arrow highlighted in red within Figure 3, below). This brings up the Video Styles drop-down gallery that you can see in Figure 4. This gallery displays a collection of pre-built Video Styles that are ready to use. Note: If you have added a Poster Frame to your inserted video clip -- just hover the cursor over any of the style previews within the Video Styles drop-down gallery. Also, place your video clip in an area that is not covered by the Video Styles drop-down gallery, so you can see the live preview. As you move over different previews, the selected video clip shows a live preview of the style applied. Click on the preview thumbnail within the Video Styles drop-down gallery to apply the style to the selected video clip. 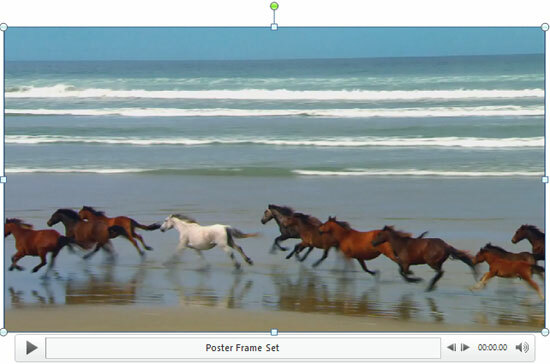 Figure 5 shows the selected video with a Video Style applied (compare with Figure 2). Click on the slide area away from the video to deselect it. Play your video clip to see the difference. Make sure you save your presentation.